Lockheed Martin has been working on two updates to the U.S. Air Force’s existing GPS ground control system designed to facilitate command and control of GPS III satellites for testing and operations. The company said Thursday those upgrades to the Architecture Evolution Plan Operational Control System are being carried out through the M-Code Early Use contract awarded in 2017 and the GPS III Contingency Operations contract awarded in 2016. “GPS III is coming soon, and as these satellites are launched, COps and MCEU will allow the Air Force the opportunity to integrate these satellites into the constellation and to start testing some of GPS III’s advanced capabilities even earlier,” said Johnathon Caldwell, program manager for navigation systems at Lockheed. The MCEU contract calls for Lockheed to upgrade AEP OCS in order for the system to track, upload and task the M-Code signal that works to improve anti-spoofing and anti-jamming capabilities for U.S. and allied forces. 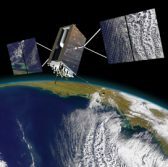 Modifications under the COps contract seek to enable the ground control system to support the upcoming GPS III satellites as well as the service’s GPS IIF, IIR and IIR-M satellites. The company received approval from the Air Force for the MCEU’s critical design in April and expects to deliver the capability in January 2020. The COps capability secured a similar clearance in November 2016 and is slated for delivery in May 2019. Lockheed said the AEP OCS modifications aim to serve as gap fillers before the GPS constellation begins operations on the upcoming OCX Block 1.